What is the best way to stop a drunk driver? If you ask law enforcement officers or Mothers Against Drunk Driving (MADD), they’ll tell you that an ignition interlock is the only way to stop a drunk driver from driving their vehicle. 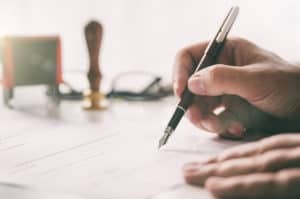 Now AAA Idaho has joined in that line of thinking, and they’re coming out in support of ignition interlocks too, with the hope that their support will entice state lawmakers into passing an all offender ignition interlock law. Idaho does require ignition interlocks for first time offenders, but they are only required if the offender obtains a restricted license after a thirty day driver’s license suspension and for first time offenders who are arrested with a blood alcohol concentration (BAC) of 0.20 or higher. The fact that Idaho doesn’t have a mandatory ignition interlock law for first time offenders arrested with a 0.08 BAC could be why the state is seeing an increase in drunk driving crash fatalities. AAA stated in a recent article that the number rose by 20.8 percent in 2015. What AAA Idaho wants to see is an all offender ignition interlock law that will require any offender to use an interlock device in any vehicle they drive, and they’d also like anyone who refuses to submit to breath, blood, or urine testing when suspected of drunk driving to have to install the device too. If Idaho does decide to pass an all offender ignition interlock law, they’d be joining in with many others states who have come on board and are now requiring the device for every single drunk driving offender. That’s a good thing, because according to MADD drunk drivers have no problem continuing to drive on a suspended license. When you realize that nearly sixty to eighty percent of drivers ignore their suspension, you also realize that there’s a lot of drivers who will be stopped cold if they were required to install an ignition interlock. Every year after a stressful Christmas Eve delivering gifts to the children of the world, Santa Claus must need to kick back with eggnog and relax for the first time in months. 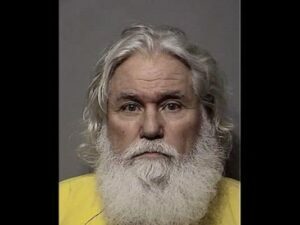 That’s OK if he plans on staying in the North Pole or if he gives the sled keys to an elf, but for some reason Santa Claus decided to take a trip to Post Falls recently and local police stopped him for drinking and driving in Idaho. It sounds strange, but it’s true: a man whose legal name is Santa Claus was arrested for driving under the influence (DUI) when he was spotted driving the wrong way down a road. Police spotted him when they were driving in the opposite direction, and when they pulled him over they discovered a 67-year-old man with a white beard and a familiar name. Unfortunately for Santa he wasn’t that familiar with Port Falls, and he must not be used to driving a car because he had no idea how to navigate the streets. Police stated that Santa smelt of alcohol, and he admitted to drinking a few beer at a local pub. When asked to perform a field sobriety test, Santa couldn’t stay balanced, and his two breathalyzer tests resulted in readings of .130 and .119, well over the legal limit of .08. Just like you’d expect, Santa was cooperative to everyone during his arrest. 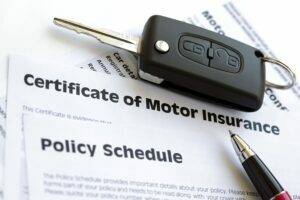 In Idaho a first time offender normally receives up to six months in jail, fines up to $1,000, and a drivers license suspension for 90 to 180 days. Idaho doesn’t have an ignition interlock requirement for first offenders, so thankfully he wouldn’t have to equip his sleigh with one. Santa appeared in court shortly after his arrest and his charge was reduced to misdemeanor reckless driving. Instead of dealing with the penalties a first time DUI offender would for drinking and driving in Idaho, he received a $700 fine after he pleaded guilty and he was free to return to the North Pole. It’s a good reminder that no one is safe from the watchful eyes of the police. Anyone who is drinking and driving, even Santa, will be stopped and arrested for it eventually. When you’re behind the wheel, alcohol can affect your coordination and slow your reaction time to the point where driving can become dangerous to you and everyone on the road with you. Ignition interlock and driving under the influence (DUI) laws are designed to keep people safe, and each state has their own unique set of laws and penalties to keep drinking drivers off of the road. The Idaho Transportation Department notes that, if you are under the influence of another intoxicating substance, you can still be charged for DUI even when your blood alcohol concentration is less than .08%. Idaho also passed an ignition interlock bill requiring repeat offenders to install interlock devices as part of the penalty requirements after a DUI charge. 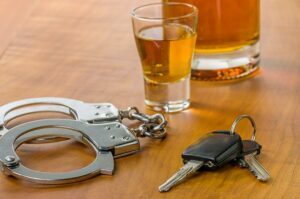 Idaho ignition interlock and DUI laws are designed to keep drinking drivers off of the road, and even one or two drinks can result in your being too intoxicated to drive. If you’re drinking at all, call a cab or give the keys to someone else.